20 Jan Which AV Receiver should I buy? Has your old 90’s receiver drawn its final breath? Need more channels to expand your surround experience? Or maybe you need a receiver that plays nice with your new UHD TV and player. Which AV receiver should I buy? It’s one of the questions we get asked on an almost daily basis, and sadly there’s no clear-cut answer. With so many brands and models on the market it can be a confusing and sometimes overwhelming experience. 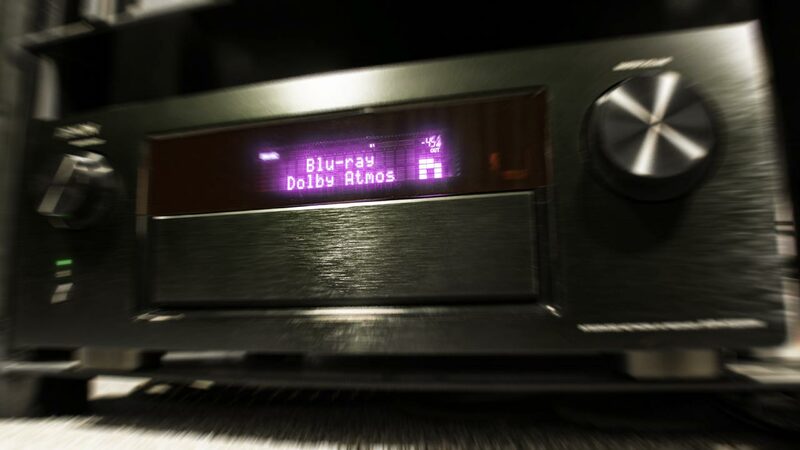 Creating a short list of requirements that suit your equipment, lifestyle and room is the key to picking the AV receiver that’s just right for you. 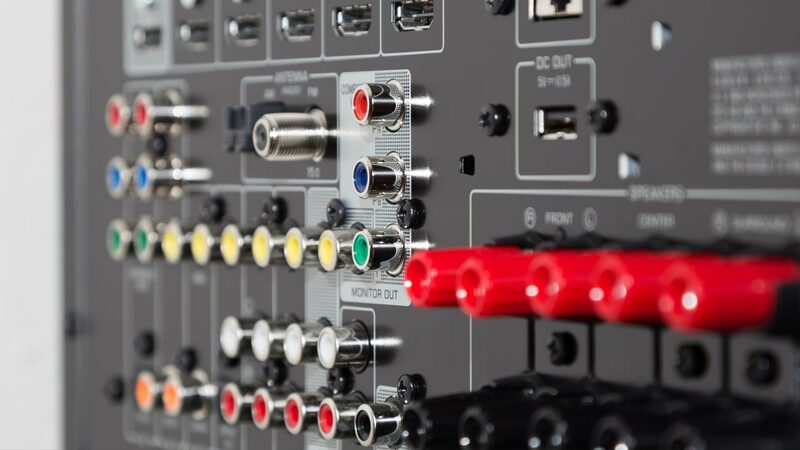 So grab a pencil and notepad and let’s run through some of the important considerations when buying an AV receiver. Creating a ‘must-have’ list can take some of the strain off the selection process and narrow down the field. The number of channels you require will most often come back to the source. Most DVD’s, blu-rays, streaming services and gaming consoles will at least output in 5.1 (that’s left, centre, right, left surround, right surround and LFE channel). Luckily, most basic AV receivers will be able to handle this. From there the sky is the limit… well, the ceiling anyway. You can upgrade to a 7.1 system (adding rear surrounds) or even wide or front height speakers if you don’t have the space up the back of the room. Taking it to the next level are the latest 3D surround formats such as Dolby Atmos and DTS:X, which expand upon the normal 5.1 and 7.1 configurations, placing speakers above your head to envelop you in a hemisphere of sound. Extended configurations will eventually release on receivers over the coming years, but for the time being integrated receivers tend to max out at a 7.1.4 configuration. One thing to keep in mind when contemplating one of the bigger formats is that some AV receivers may process 11 channels but only provide amplification for 9 channels – requiring an external amplifier to power the extra channels. When shopping around for a new receiver, keep your intended configuration in mind and make sure you have enough channels available. Think about any potential future upgrades – you may decide to add 2 rear surround channels to expand from 5.1 to 7.1, or you may want to add 4 ceiling effect speakers in a year or two when funds allow. Buying an AV receiver that has enough channels can save you from needing to upgrade sooner than expected. Multizone audio can come into the mix here, if you want to run a second zone to your alfresco speakers you’ll need to allow amplifier channels to do so, so include these in your calculations. Keep in mind the second or third zone may take channels away from your first zone. If you are thinking of adding a separate power amplifier down the track, make sure your receiver has pre-outs. This is a good way to get started on a budget, and allows upgrading in the future without needing to replace equipment. This is the big question that often proves the hardest to answer. It’s easy to get caught up in the numbers, and let’s be honest, many of these ratings are given in a way that makes it almost impossible to compare them effectively. Most receivers these days will quote 100W of power per channel, but not all are up to that task in real-world terms. It’s important to be able to drive your speakers to the required volume, without running out of puff. Some AV receivers handle lower impedance speakers better than others. While most can handle a nominal 6 Ohm load without issue, it’s worth checking that they’ll be up to the task. Have a chat with your local Krix dealer about your speakers and expectations– they’ll be able to give you a good starting point and suggest particular models that will provide suitable power. If you really want to crunch the numbers on paper, make a note of each manufacturer’s method of rating (number of channels driven, impedance, distortion and bandwidth) for a fair comparison. You can often find reviews online that publish test bench results in real-world terms. The sensitivity of your speakers, seating distance and room size will all affect the achievable volume level. HDMI, the interface that saved us from multiple cable runs for audio and video. Almost every AV device uses HDMI now, from streamers to players to gaming consoles and everything in between, so make sure you allow for enough HDMI devices… and then add 2 more. Also make sure it’s the highest spec version of HDMI that you’ll require – HDMI 2.0a for HDR content for example. If you still play a legacy gaming device with composite/component connection, or play your vinyl collection on a turntable requiring phono input, make sure your bases are covered. If you need your analogue inputs converted to digital output, double check the conversion abilities. Output is an often-overlooked feature – not everyone requires multiple outputs and it can add to the cost. You may want video to a second zone, so the kids can watch cartoons in the spare room while you watch the footy in the lounge, or you may want to change settings in the home theatre receiver without firing up the projector and burning lamp hours. This is where a second output can come in handy and save you time. Today’s AV receivers have come a long way. Features that cost a lot of money a few years ago may be built into even the most basic model nowadays. There’s so many different features available that we can’t list them all, but let’s talk about some of the more important ones. Multiple zones – Perfect for getting music outside to your outdoor dining, barbecue or pool area. Music can lift the atmosphere of an outdoor experience, so considering a second or even third zone is quite common. The same applies for setting up multiple zones indoors. Streaming capabilities/Multiroom audio – Airplay, Spotify and Pandora are just some of the popular music streaming apps in use today. Many manufacturers incorporate their own multi-room systems (Denon’s Heos, Yamaha’s MusicCast etc), so if you already use these in other areas of the house this can make the decision easy. Video and media streaming including DLNA and other formats are also very popular. Devices like the Chromecast and Apple TV are other great ways to stream through formats that may not be available in the receiver. Compatibilities – If you have the latest UHD/HDR TV and player, you’re going to want all components to ‘play nice’. Ensuring the receiver has HDCP 2.2 compatibility and HDMI 2.0a may save a few headaches down the track. Chat with your sales rep if you have any specific questions. Room EQ – We’re talking about those little microphones and setup routines that come with most AV receivers. You can follow the on-screen steps and allow the system to set up distances, volume levels, crossover settings and equalisation. Some are considered better than others, so do your homework if room equalisation is going to be important to you. Remote app support – Who doesn’t love to turn on their music and adjust the volume from their phone? Ethernet/WiFi – Connect your receiver to the network in your house for streaming, remote control, internet radio and system updates. If you don’t have a nearby ethernet cable or plug, then a receiver with WiFi may save some headaches… or create more trying to stream wirelessly! Bluetooth/USB input –These allow even more ways to play your media. ARC – Short for Audio Return Channel, ARC is a feature of HDMI that allows you to run a single HDMI cable from your TV to the receiver – negating the need to run an optical cable as well for return audio. Audio can run from the TV (for example the tuner or a built in app) to the receiver, but video can also run from the receiver to the TV. It sounds great in practice but can be a pain to get working properly. Do you have a height limitation to fit the receiver in your entertainment cabinet? Some receivers have a smaller profile to slide right in. Keep in mind ventilation, you don’t want the unit overheating. Will a silver or black colour match your current equipment? Do you have a preference for how the unit looks? For most it won’t matter too much. For others it all needs to blend perfectly with the current décor. Well, hopefully you’ve written down a short list of the features and specifications you require. It’s now time to search for receivers that fulfill your wish list. It will also help to look through some reviews online and get a feel for the different options. We’d suggest then heading into your local HiFi store and chatting to the salesperson about your research and findings. From here, audition some of the receivers on your shortlist and get a feel for them. Try to pair them with the speakers you have or will be buying. Play with the remote, work through the user interface and get a feeling for what you like. Most of all, have fun during the process!